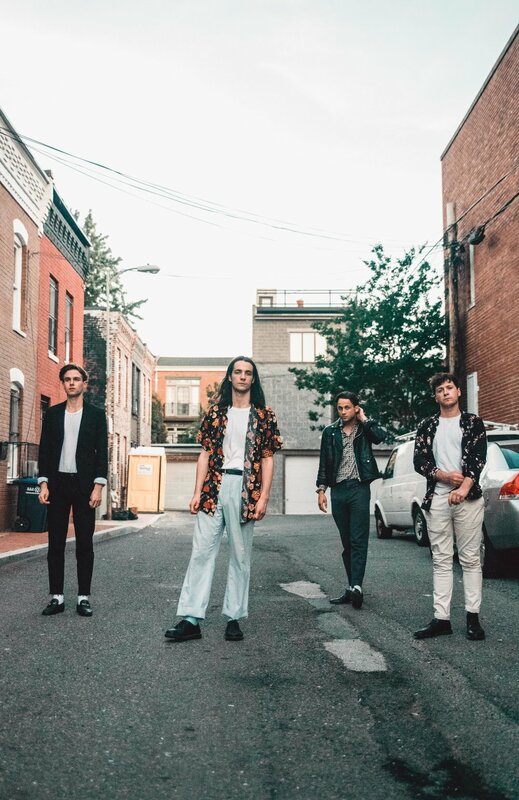 Fresh off the release of 'bn', the first of four parts that will make up their debut album, Colouring answered a few questions for us via email and posed for some photos during their stop in DC last month. The color blue appears in the album artwork for all of your singles and EPs. What is the significance of this color to the band? When we made our first EP, we started working closely with an artist friend of ours, Grace O’Neill, who does all of our artwork. The colour blue is quite contradictory in that you can 'feel blue' in a way of sadness or it can represent peacefulness and strength. In the music we were making, these themes continued to arise and it made sense to carry it through with the artwork. The paint on skin idea was this theme of 'real vs synthetic', something we aim to combine in our music. You just wrapped up some dates supporting LANY. What was that experience like? Is there anything you learned from them? It was an amazing tour! Those guys are some of our favourite people in the world. Personally, watching Paul perform every night is a great learning curve as a frontman. The guy is such an honest performer and he leaves absolutely everything on the stage each night. Those boys have such an incredible connection with their fans, it’s a joy to watch and learn from them. I’m enjoying this guy MorMor at the moment. He's just put out an EP which is really nice. Also, this new Jay Rock record is wicked! Listened to a lot of Neil Young on tour in the van. When listening to music do you pay more attention to lyrics or melodies? We were talking about this the other day. I feel the melody is always king in a song but at the same time, lyrics can make or break a melody. Often it's hard to have one without the other. But I guess it also depends on the song and its intention. I grew up on jazz and people like Miles, Bill Evans etc those guys speak to me more than most vocalists could ever do. If you had a band mascot, what would it be? Describe Colouring in three words. What’s on the agenda for Colouring the rest of the summer? We're already working on a follow up to our album. We just want to keep writing and releasing music as often as we can. And we plan on getting back out on the road as soon as we can!